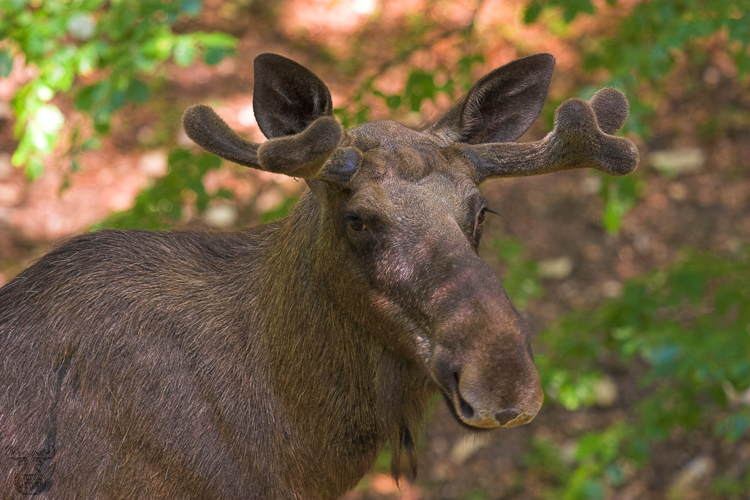 Time again for a moose portrait - showing "Lars", the first moose bull who came to wildpark Hundshaupten in 2003. You can almost follow his antlers growing year by year - a study object you do not need radio collars for finding again. And Lars - normally rather shy - this time posed for the images.